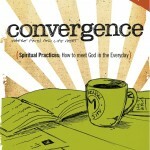 Spectacular new DVDs: Start & Convergence. We trust you know that we here at Hearts & Minds are bookish. Some of you subscribe, even, to this BookNotes blog because you know we won’t assail you with advertisements for cheesy gifts and a thousand new “praise” albums. Folks that walk in our shop–despite the fact that we do carry a goodly share of gift items and music and random weird stuff—comment on how many books we have packed in to this space. Just today I pondered a note I got from an author, thanking us for caring about and selling books in “these hard times.” Indeed. And, also just today, I spent some time treasuring the brand new collection of poems by Wendell Berry, a handsome, slim volume called Leavings (Counterpoint; $23), a collection described as “elegies, lyrics and letters and the occasional love poem.” And some of his famed Sabbath poems. We love books as they carry words, which carry ideas, often with great charm or beauty and power. Yet, we do get fired up about non-book items, sometimes, and I have been twitching to tell you about a few great, great, great new DVDs. They are designed for small group use, but I’d suggest them even if you’ve got no one to watch with. They are that good. First, I could hardly be more impressed by a new six-week series on the “Good Samaritan” passage, expertly produced by World Vision and published by Zondervan. It is called Start: Becoming a Good Samaritan and is hosted by John Ortberg, who is a very good communicator. His “thoughts from the bench” set the overview for each week, as he meditates for a few minutes in precise prose, even as he casually sits on an outside park bench. (His little piece on why we ought to read the prophets, on week 3, is worth the price itself, and could be shown in many settings!) Other great speakers, authors and activists show up here, each articulate, balanced, thoughtful, and very compelling. Speakers such as Eugene Peterson, Philip Yancey, Gary Haugen, Joni Eareckson Tada, Desmond Tutu, Jim Wallis, Shane Claiborne. Rob Bell does a “nooma-esque” thing with a batch of chairs in each one, and that, too, is very, very compelling. Brenda Salter-McNeil gives one of the best, brief invitations to work on racial and ethnic diversity I’ve seen; Shane Claiborne is in there, AIDS activists show up, speakers as diverse as Chuck Colson (who is very good on prison reform) and Matthew Sleeth (one aspect of being a good Samaritan in this day and age, they insist, is “Tending to God’s Creation.”) My, my, these are wise and challenging voices for living out compassionate faith among our often hurting, global neighbors. I like the way this DVD keeps moving—the days of old “talking heads” or 45 minute sermons being shown are long gone. There are well-paced interviews, live footage, a bit of music. Yet, this isn’t like The Trouble With Paris or Everything Must Change (both which I’ve shown in various settings, and regularly rave about, for solid content and cool production) which are hip, edgy, and so fast-paced that they might annoy some traditional viewers. Start is well shot, crafted with a very rich, contemporary cinematography, without the dizzying stylings of some of the more recent postmodern curriculum. It really is artfully done—it is strikingly beautiful in some places!—and I couldn’t recommend it more. There is a study guide you can buy to go with it. For more info, please visit www.juststart.org. We could be thrilled to sell this to you or your church and I am sure it will be fruitfully used and greatly appreciated. Kudos to Zondervan for releasing this timely and excellent program. May it be widely used. DVD $24.95 participants book $9.95. Today is the official release date of the three Convergence: Where Faith and Life Meet DVDs that Donald Miller has been promoting on his recent tour. We’ve had ’em for a week now and are so excited about these, I could wax on and on about them, too. Briefly, they are simply made with a casual aesthetic: Donald Miller interviewing some sharp, provocative, insightful folks. 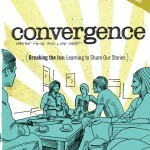 They are promoted as “a new generation of small group resources” and could easily be used to spark your own conversations. Again, they are well made, insightful, with top-shelf contributors offering authentic input about real faith. Highly, highly recommended. 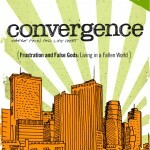 Visit www.allthingsconverge.com for study guides and more info. Thank you for your review of start> Becoming a Good Samaritan! Our prayer is that God will use it to help people be like Jesus, and to start> a Good Samaritan movement worldwide. Thanks for noticing; it means a lot. I cannot tell you how impressed I am with the vision, content and quality of this. If I can around to my custom of doing a year’s-end “Best of” list, that will be on it for sure! I’m so very grateful for your great work. Gracias!